Just in time for the holidays comes The Beatles 1 Remixed Edition. 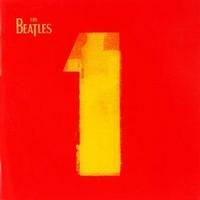 The Beatles 1 was originally released in 2000 and quickly became the fastest selling album of all time. Featuring 27 of the band's most significant singles, all of which reached No. 1 in the U.S. or U.K. charts, this updated 2LP edition now features brand new stereo mixes by Giles Martin and Sam Okell at Abbey Road Studios. Tracks include: "Love Me Do," "I Want To Hold Your Hand," "Can't Buy Me Love," "I Feel Fine," "Ticket To Ride," "Yesterday," "Day Tripper," "We Can Work It Out," "Paperback Writer," "Penny Lane," "All You Need Is Love," "Hey Jude," "Something," "Come Together," and more!